Financial Accounting Experts - Encompass Accounting, Inc.
Ryan Walsh is the founder, owner and Accounting Manager of Encompass Accounting. Ryan decided to start his own company in April of 2015 because he felt he could deliver a simpler more customer centric accounting service to the marketplace. As the Accounting Manager Ryan is in charge of the execution of the company’s services. He is passionate about providing quality accounting services so that business owners have more time to focus on value added tasks. Since graduating from Goldey Beacom College in 2010 with a Bachelor of Science in Accounting Ryan has worked in the accounting industry with experience in bookkeeping, tax preparation, payroll, business consulting and medical billing. He is a QuickBooks Pro Advisor and Xero Certified Partner with a strong track record of quality and innovation. In his free time Ryan enjoys golfing and traveling. Ryan is active in Mom’s House Wilmington, a non-profit located in the City of Wilmington where he serves on the board of directors as the Treasurer. Andrew Kruzienski has been the Marketing Manager at Encompass since September 2015. In this role Andrew oversees the development and execution of the company’s marketing and sales strategies. He is passionate about developing strong personal relationships with clients. He feels that developing personal relationship enables Encompass to meet the unique needs of every client. 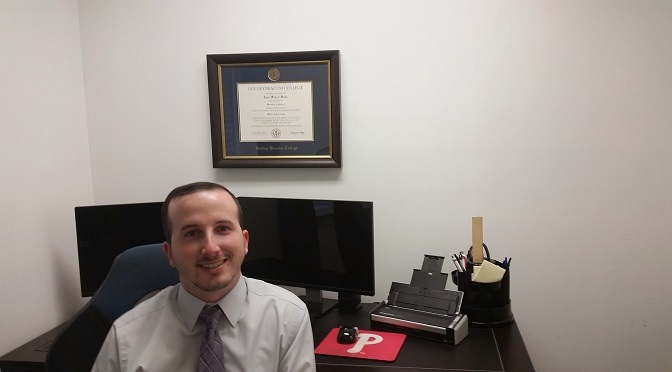 Since Graduating from the University of Delaware in 2010 Andrew has worked in the banking industry with experience in customer relations, credit risk management, consumer underwriting and technology projects. He is a Certified Six Sigma Green Belt with a proven track record of developing and implementing change. In his free time Andrew enjoys golfing and traveling with his fiancée.